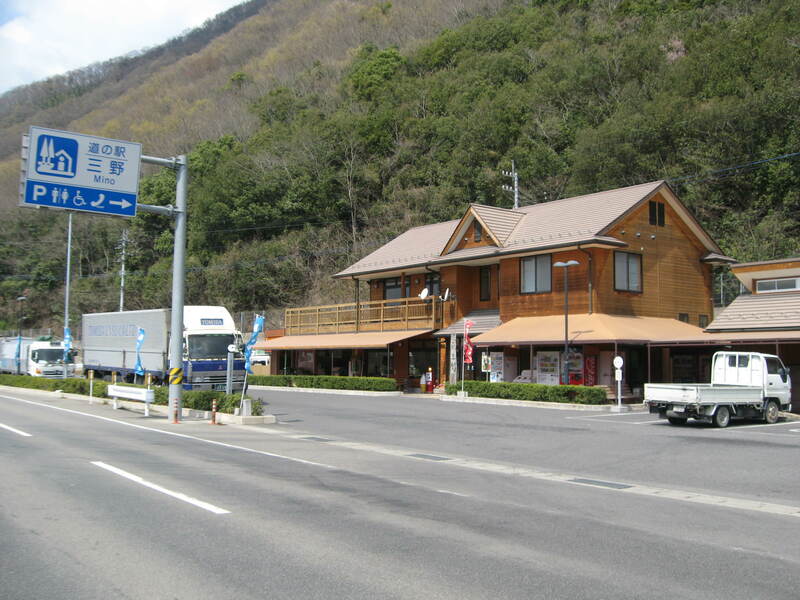 Rest Area Mino is situated by the prefectural road, Naruto-Ikeda line and this is the only spot on the north of river where you can stop and enjoy a fine scenery of Yoshino river. The view of the sun setting beyond the mountain and its reflection onto the river surface is particularly beautiful and is something not to be missed. The scene of people enjoying fishing Ayu (Sweetfish) in Yoshino river are seen here and there in summer, which is the thing of season. There also is the small shipyard of Kandori-Bune (Small fishing boat for Ayu fishing) nearby. Local farm products are sold directly to people and farmers are particular about their agricultural produce.